At a certain point during the 2018 season, it became clear that DeSean Jackson wasn’t going to be with the Buccaneers much longer. His time in Tampa Bay was largely a bust, but whenever his imminent departure was talked about, it seemed like the conversation was geared toward who would step into his role as the team’s primary deep threat. When the Bucs traded Jackson to the Eagles in March, they ended up signing Breshad Perriman shortly after. Perriman has elite speed and the ability to take the top off a defense, which makes him pretty well-suited to replace Jackson. He really has the potential to be one of the top steals of this latest free agency period. 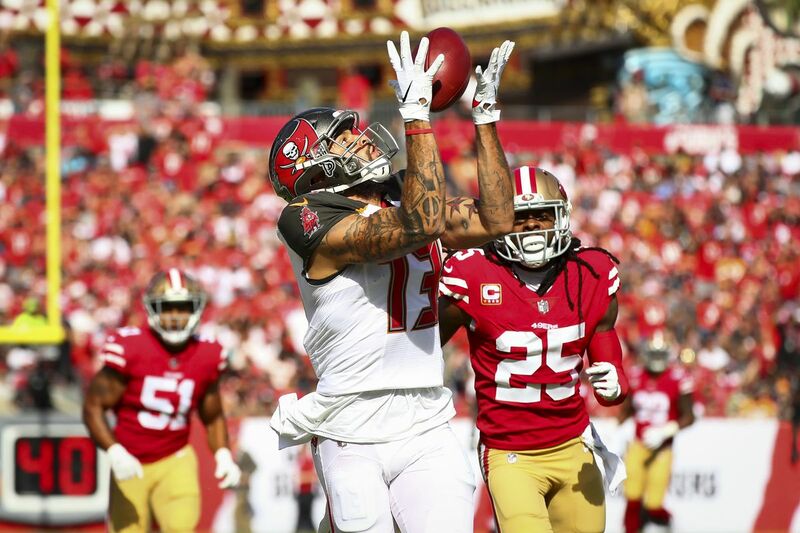 But the fact is, Tampa Bay already had a receiver that is far more than capable of serving as a deep threat — Mike Evans. Evans was second in deep receiving yards in 2018, proving that the Bucs have more than just Perriman as a deep threat in 2019. Of course, we all knew that. Evans is a well-rounded receiver. He’s one of the league’s best for a reason. But am I the only one that didn’t realize just how effective he was on the long ball last year? I do recall a number of long catches from Evans in 2018, now that I think about it. But the numbers still caught me off guard. Of his 1,524 yards last year, 543 were “deep yards” by Pro Football Focus’ standards. That’s a promising statistic. The overall point here is that as good as Evans is and even with as much attention as he gets, his skills as a deep threat are pretty underrated. With Bruce Arians and his staff on board, the vertical elements of the Buccaneers’ offense are going to be even more present than ever. Evans’ 2018 success in that aspect of the game bodes well for what Tampa Bay will be able to do in 2019 and beyond. R.I.P Reggie Cobb (July, 7 1968- April 20, 2019) Saturday was a sad day. Kendell Beckwith still hasn’t been cleared to practice Hopefully the kid can find his way back onto the football field.